Create and store patient records with HIPAA and InfoSec compliance. Complete suite of health records management options like: compliance, reporting, and retentions strategies. Store indexes of physical records, electronically upload a variety of file types, and create user entered data records. Electronic records can be audio files, video files, image files, and documents. Full control over record access; from no access, to complete access across all user types (patients, practitioners and staff). Secure your medical records using a combination of user permission controls and record access control. Full spectrum of compliance protocols, retention protocols, and reporting protocols to help you develop your compliance strategy. Quickly and easily view user interactions of records, and record auditing. Health clinics can choose to use the records manager as a means to store important and confidential records. Depending on your unique requirements and compliance concerns, you can also use the records manager to share insensitive information to promote team collaboration between health practitioners and patients. Clean, visual calendar displays patient appointments for the month. The appointment list is great for high volume health care clinics and users with mobile devices. Chiropractic software that handles scheduling for patients quickly and easily. Patients receive reminder e-mails prior to their appointments. If desired, patients can be given login credentials to review their schedule at their convenience. Naturopathic practices tend to be smaller with longer duration appointments. The need to limit 'no-shows' is essential. Our naturopathic software scheduling system will help to drastically cut down on cancellations and increase your patients satisfaction. 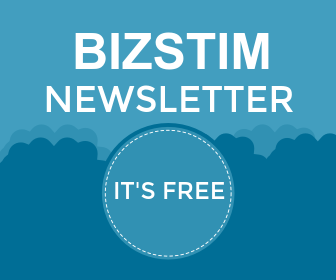 If you are looking for dental software, hygenists software, acupuncturist software or rehabilitation software, Bizstim has the solution you need to review. Dental patient reminders, or reminders for your health clinic will drastically cut down on cancellations. Decide between Point-of-Sale, Invoicing and Pay-in-Advance options for your Chiropractic, Naturopathic, Dental or other health care practices. Many health clinics use 3rd party terminals to collect payments from their patients. Our medical management software compliments your pre-existing payment processing. You don't have to change how you charge your patients for their appointments. Charge your patients by invoice; either at the desk, by e-mail, or mail. The process is simple and easy. Create a single invoice, multiple invoices, or automate your invoices using the best invoicing application available for medical health care practices. Going 'green' couldn't be easier. Send PDF receipts to your patients or print them out straight away. Beautifully styled invoices are generated instantly. Your patients can also login to their accounts and download their invoices and receipts at their leisure. Store and analyze your health clinics expenses, and revenues using detailed financial tools. Use balance sheets, invoice reporting, and income statements to understand where your money is going. Record single and recurring expenses. Create expense schedules based on expense frequency, expense date, and expense duration. Assign expense groups for strategic financial planning. Easily determine which patient accounts have a balance. Review the patient's service and payment history without complicated navigation. Initiate payments instantly with a single click. When it's time to report your revenue to the government, use the income statement tool to retrieve the data you need in seconds. You select the date interval and instantly know your revenue, expenses and taxes collected by city location. Administrative accounts have SMART Dashboards. Accounts receivable and payable appear when there are amounts owing. Patients have a SMART Dashboard that prioritizes 0 balances, and displays information they frequently want.